donated items for the 2018 auction. 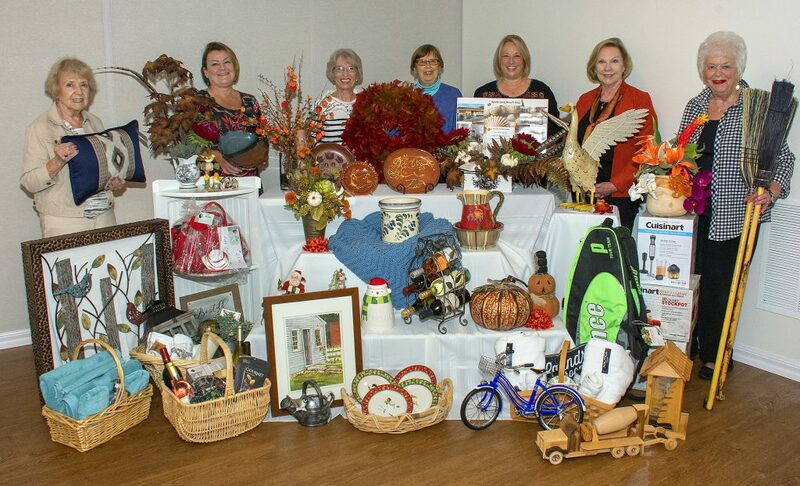 Start your holiday shopping early at the 14th annual “Bucks for Books” dinner and auction. Always an entertaining and fun-filled evening, this event is the Friends’ largest fundraiser thanks to area businesses and individuals who help to sponsor it through item and monetary donations, program advertising, and, of course, all who attend. The 2019 Dinner and Auction will be held Saturday, November 9, at Foxchase Golf Club in Stevens. Included throughout the evening are a live auction, silent auction, item raffles, gift certificate sales, and a 50/50 drawing. Also included again this year will be a wine table, where you can purchase a “surprise” bottle of wine. Tickets for the dinner are $40 per person, of which $17 is a tax-deductible donation to the Friends. Tickets may be purchased at the library, from any Friends Board member, or by contacting Carol Lewis at (717) 484-4858.
but interested in the auction? If you have questions or comments, please click on the “Contact us” link above to e-mail the auction chair.